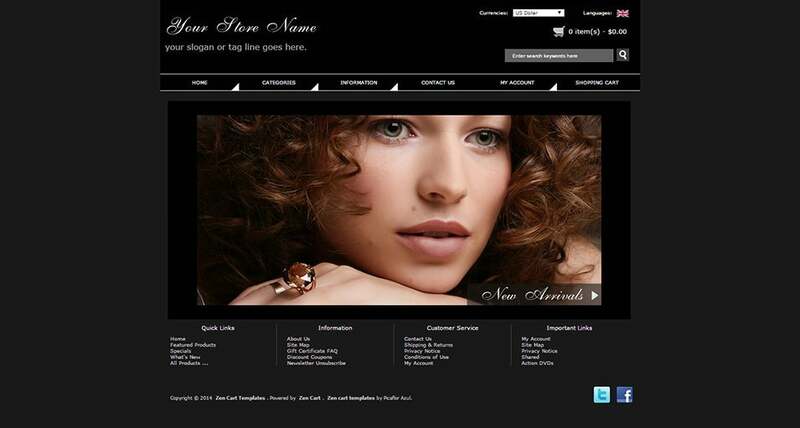 With neat and pristine designs the Fashion zen cartTemplates stand out in the crowd. 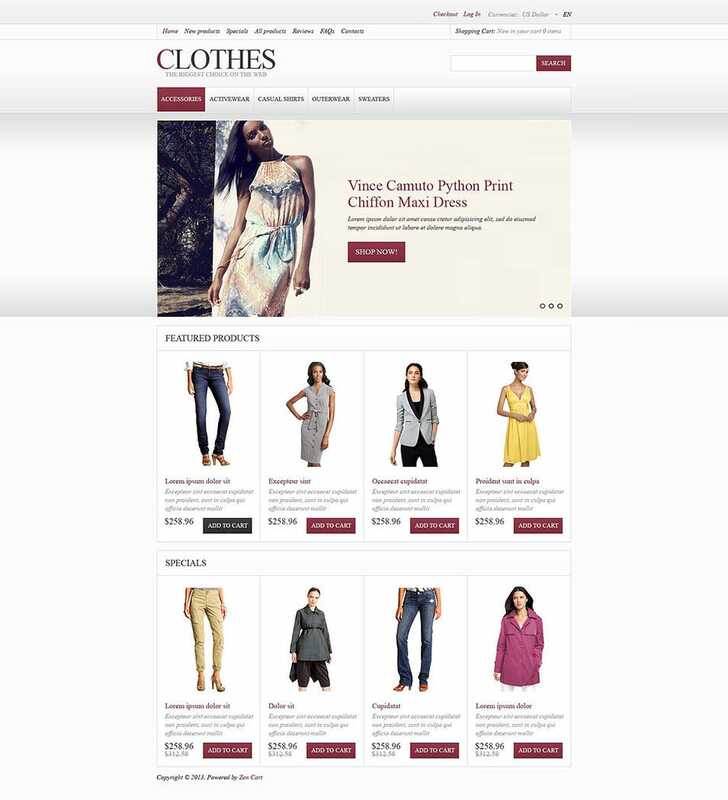 They are 100% responsive and make sure that the websites have the potential to provide a complete shopping experience for all the customers. 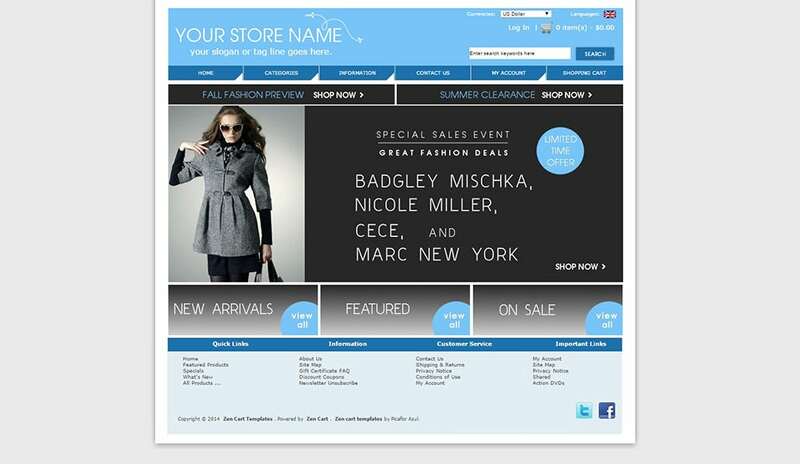 The extreme customizability of the themes make them suited for fashion stores, apparel stores, shoe stores, health and beauty stores online. 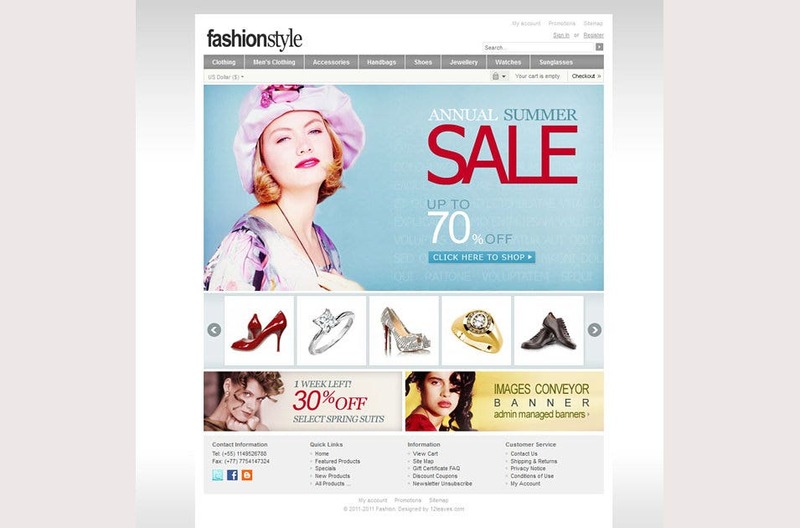 The unique features include the sliders and slideshows which adorn the homepage welcoming the multiple viewers. The sortable galleries, the hover zoom aspects and autoplay options with adjustable image sizes make up for the dream template for any website designer. The navigation experience is further enriched by large image tiles, information areas, titles, description, easy live search options and much more. The themes are changeable and they come with their own layout. More than hundreds of color options enrich the design process manifold. Among the scores of built-in functionality there is a strong admin panel which helps you to manage and maintain your site with much more ease. These power-packed themes come with multiple layout positions and modules which ensure that your website has a unique look stemming from your own creativity. The extended levels of customization make sure that your website will not have common element with any other website developed from the same templates if you do not wish it to. 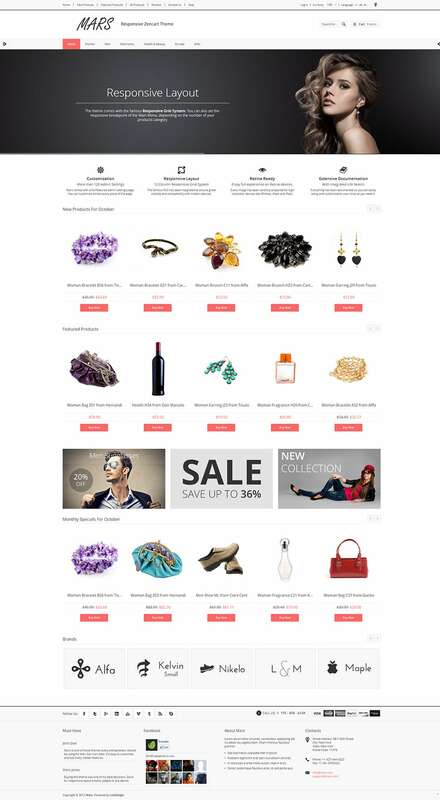 Bootstrap Megamenu, Bootstrap Slider, Manage Widgets modules and Advances Footer modules are mundane aspects when it comes to Fashion Zen Cart Templates which makes them the better option for building your own fashion website. 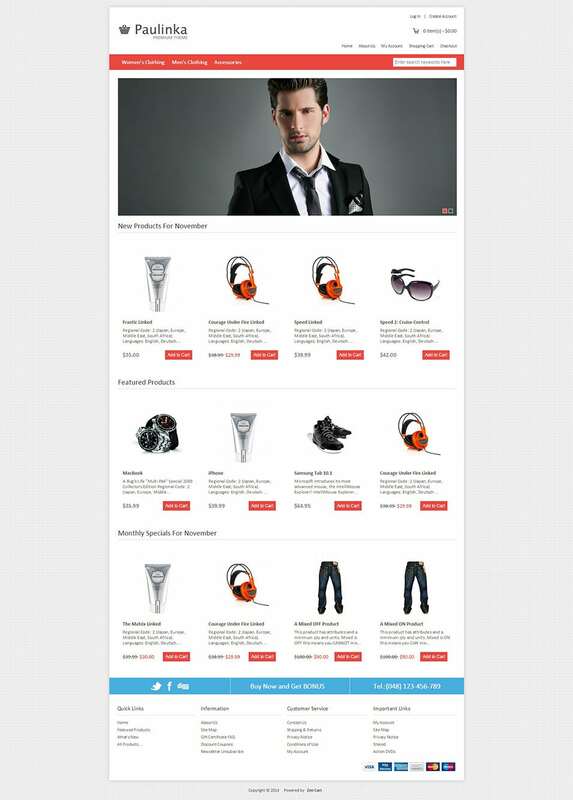 Fashion ZenCart template is a beautiful template that is embellished with a modern and clean layout. 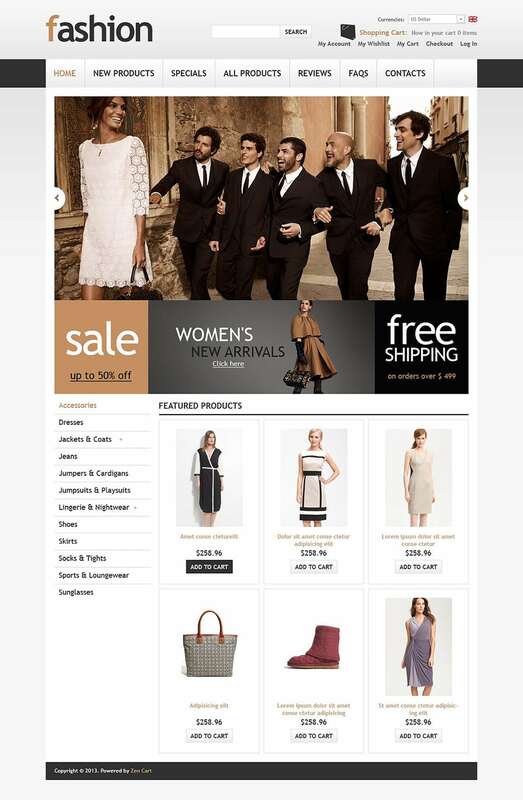 It is fully responsive due to which it works properly on all screen sizes. 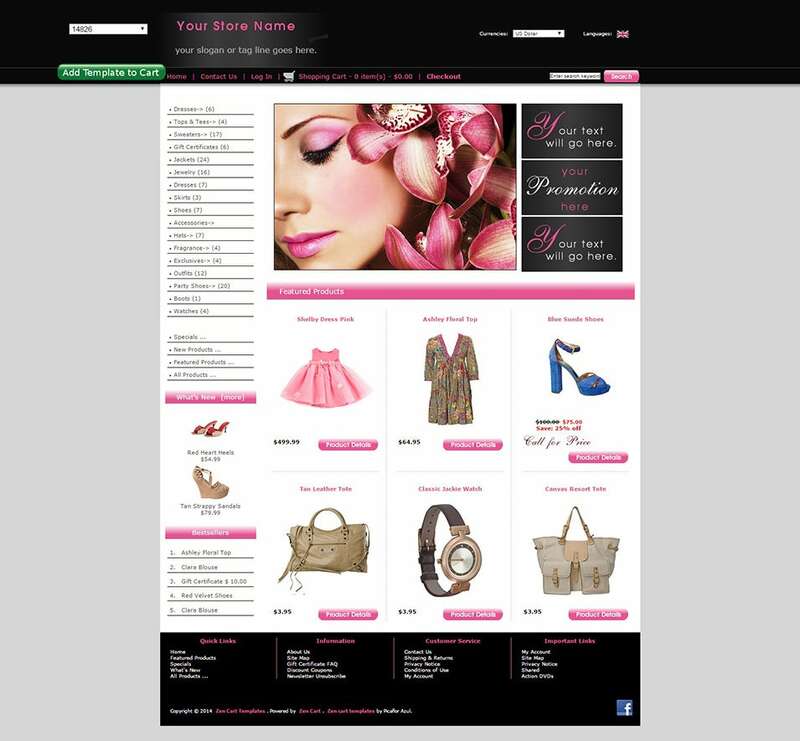 It has a user-friendly interface, making it easy for everyone to use it even without any technical skills.